Nifflers are always on the hunt for shiny things, and it looks like one's found all of your jewelry! 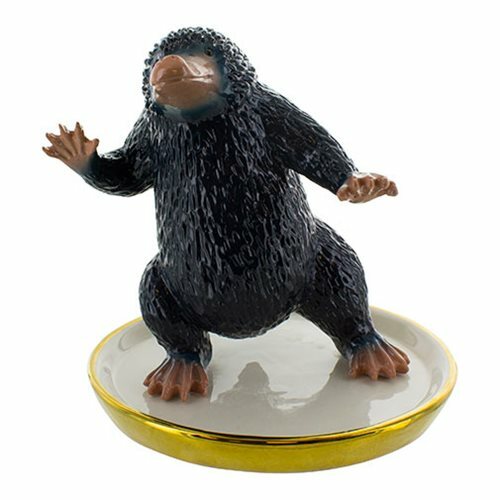 Keep your jewelry safe and know where your treasure is at all times with this super-cute Fantastic Beasts Niffler Trinket Dish. Featuring an adorable 3D Niffler figure, upon which you can hang your jewelry. The dish is the perfect gift for lovers of J.K. Rowling's Wizarding World. KISS Destroyer 3 3/4-Inch Deluxe Box Set - Con. Exclu.